Welcome to Part One of this series based on Computation Thinking. This first post will provide the “what” and “why”along with some steps to promote this important practice. The second post will provide a goldmine of resources to get you started with your students. You will not want to miss it! Also, please take a moment to subscribe to this blog by RSS or email and join me on twitter at mjgormans . I have some great posts coming your way involving PBL, STEM, tech integration, and a continuing series on Professional Learning Communities! Most of all, thanks for being one of those over 30,000 visitors a month and over 14,000 subscribers. Also, remember that I can come to your conference or school district and provide engaging authentic, practical, and purposeful professional development . 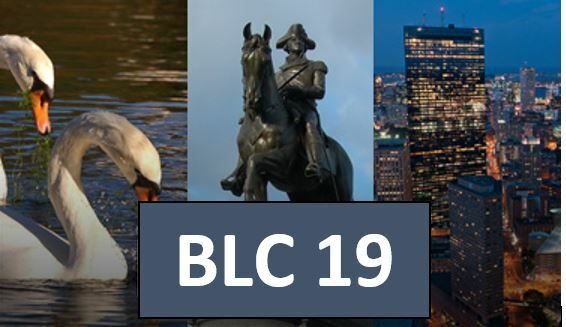 Please note I will be at BLC19 in Boston (July) with workshops and sessions. See booking info and please contact me anytime at (mjgormans@gmail.com). Thanks so much. Michael Gorman (21centuryedtech). Booking Info – It is time to think about your school or conference needs. Are you looking for a practical and affordable professional development workshop for your school or conference? I have traveled the country delivering PD relating to technology integration, PBL, STEM, Digital Literacy, and the 4 C’s. I have delivered hundreds of workshops and presentations. Check out my Booking Page. Please contact me soon if you have an interest. My 2019 calendar is filling fast. In fact, it might be time to begin thinking about next Summer and the start of school for 2019! Look for contact information at the Booking Site. Since there are over 45 amazing resources below I will keep my comments short. While STEM incorporates so many disciplines, I thought you might enjoy looking at some the best sites I could find in the area of Math. As you look through the possibilities, be sure to take some notes. It really is OK to get lost in one or two and leave the rest for later. Please take a moment to share this post with fellow educators with a tweet. Enjoy your journey and please let me know others I should add. SAS Curriculum Pathways Math – While SAS contain free curriculum for many areas be sure to check out some great math possibilities all fro free. Authentic PBL: Santa Believes in Project Based Learning … Do You? It all started on a recent visit I had the pleasure of taking to the North Pole. It was actually a once in a lifetime experience, one that I will always remember. While I promised Santa I would not divulge secrets I discovered, he did hand me a manuscript and gave me a wink. I could see the amazing sparkle in his eyes as he waited for me to discover a power he was already aware of. I looked at the cover of this torn and faded, yet delightful looking, old book. I could tell it had been constantly used due to the lack of North Pole magical dust on its soon to be engaging pages. I spent the next few hours looking through a wonderful collection of written journals. This manuscript was entitled “The Santa Projects”. How did he know my yearning to learn more about projects? I then remembered that, of course, I was sitting in front of Santa. He probably had quite a database of everything I had ever dreamed of or desired from my very first teddy bear. Here was a compilation of all of the important projects ever done at this amazing place… at the top of the world. Here were the projects that Santa had brought to his entire staff in order to engage, motivate, educate, and provide means of collaboration and communication. The first project caught my eye. I couldn’t help but smile as I read each of Santa’s journal entries. Allow me to share one of his projects with you. The Driving Question – (The Driving Question is the key to any effective PBL project. This question must be direct and open a student-centric understanding of what is to be eventually accomplished and learned. While giving the students a sense of mission, it is proactive and open-ended.) Santa Notes – After working with various teams we have decided that a good driving question could be as follows: How can we devise a plan to deliver presents to all the good children in the world in one night? I know this will be exciting for the elves and I am sure the reindeer will be clamoring to get their hoofs into it. I am certain our journey to finding this answer will not only raise more questions but will also provide the rigor my staff thrives on. Voice and Choice – (An effective project must allow for all students to have a voice and a choice. This might allow students to pick an area of study or may give a selection of various final products to demonstrate learning. This voice and choice allow the project to have individual meaning and relevance to each student.) Santa Notes – I must allow all of the workers at the North Pole to participate in a meaningful way while holding them accountable to the Driving Question. Who knows what contribution each group and individual might be able to come up with. In fact, I have already heard that my engineers are drawing a picture of a sleigh. Not sure I know why, but maybe I will learn from them. 21st Century Skills – (Students must be allowed to use skills that are authentic and provide real world opportunities. Teachers must provide learning opportunities and facilitate important skills including collaboration, communication, and critical thinking. It is important to also assess these skills as part of PBL.) Santa Notes – I plan to utilize team building activities to help facilitate project success. At the North Pole, we must realize that in order to pull off this miracle it will involve a collective wisdom from the entire crowd. We will use modern North Pole technology including Santa Docs, Twinkler, and Elfmodo to collaborate. In fact, I noticed the elves are already building a new system “The Magic Net”. It is supposed to connect the North Pole with the entire world of children’s desires. I am not sure why, but I am sure I will learn from them. Inquiry and Innovation – A good PBL study will allow students to not just come up with answers… but also discover new and amazing questions. 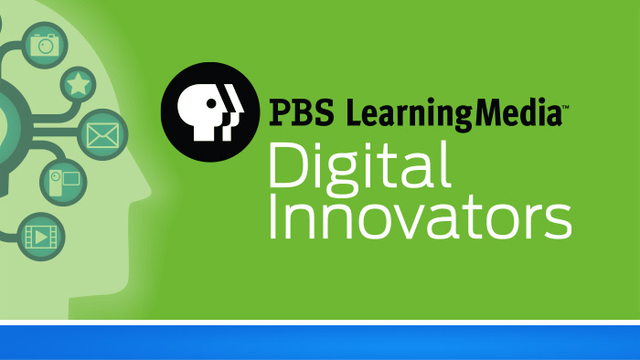 This will allow students to think outside the box as they remix, create, and innovate. It assures a final product that shows the learning that was acquired from the initial Driving Question.) Santa Notes – Everyone at the workshop is finding out that there is not an easy answer to our Driving Question. It seems we are getting more questions than answers right now. I have encouraged our staff to use Santapedia and NorthPoleOogle but they say it does not always give the answer… again more questions. I have told everyone to tinker… something they have experience with at the toy shop. They did come up with a new gift they called Tinkertoys which could be a hit. I had to get them back on track. Outside, I have noticed the reindeer jumping from the fir trees and one is even playing with a red light bulb. I know it seems very hectic… but I do feel we might be on to something. Significant Content – (A PBL final outcome should provide evidence that students learned the required content set forth by curricular standards. While the 21st-century skills are important… they should complement and be used as tools for learning this content. The project is the process!) Santa Notes – Wow… while everyone has become better communicators, collaborators, and critical thinkers I see that the important concepts needed to make this project a success have become a reality. All of the workers, elves, and animals understand the important North Pole curricular concepts of magical engineering, animal aviation and linguistics, possibility planning, and bottomless bag technology. Most of all, they have discovered the wonderful skill of miracle manicuring. I really do believe in PBL! As I was sitting in front of Santa there were two more elements that appeared before me like magic. I read the text as fast as it appeared. He looked at me as he winked and smiled… as if he was about to go up a chimney. I soon realized he had even been aware of some of the new ideas found in the new Gold Standards. Of course, he was aware! I continued to read with delight as I discovered even more amazing magic! Reflection – (It is this process that demands the important skill of metacognition. It is not until a learner thinks about the learning… that real learning takes place. Educators must allow students time to reflect as they build their own understanding of important content and concepts.) Santa Notes – I have always enjoyed the work of John Dewey… after-all he was always on my good list. I encourage all the workers at the North Pole to reflect on what they learn while as they build and innovate on all the products at the workshop! It is amazing to see all the learning that takes place as we constantly create a wonderful experience for all the boys and girls throughout the world! Authenticity – ( It is important that students have an authentic learning experience that is meaningful. Allowing students to make a difference to their surroundings and the world outside the classroom is essential. Education must be real and provide the students that important… so what… to learning.) Santa Notes – Authenticity might be one of the most important qualities we promote. After-all like PBL… the North Pole experience is about making it real! As I handed this precious manuscript back to Santa, I thanked him for confirming my belief in how powerful a project can be. Upon my return, I continued to learn more about Project Based Learning and discovered the power it has for providing authentic and powerful learning experiences for students. This knowledge just might be the very best gift I ever received from Santa. I’m still smiling as I recall the other projects I read about in the wonderful book on my very special visit. Projects with names like the ones you find below. Making and Keeping It Real! Booking Info – It is time to think about your school or conference needs. Are you looking for a practical and affordable professional development workshop for your school or conference? I have traveled the country delivering PD relating to technology integration, PBL, STEM, Digital Literacy, and the 4 C’s. I have delivered hundreds of workshops and presentations. Check out my Booking Page. Please contact me soon if you have an interest. I am now almost booked through April. Perhaps you need to think about summer conference dates or PD needs and it is not too early to think about the 2018/19 school year! Look for contact information at the Booking Site. A Special Letter From Santa in 2018 … Why Teachers Must Be Magic! Since there are a gold mine of resources below I will keep my comments short. 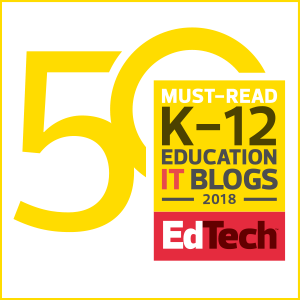 While STEM incorporates so many disciplines, I thought you might enjoy looking at some the best sites I could find in the area of Technology. As you look through over 34 possibilities be sure to take some notes. It really is OK to get lost in one or two and leave the rest for later. Please take a moment to share this post with fellow educators with a tweet. Enjoy your journey and please let me know others I should add. TEDed – Check out these wonderful lessons that really allow students to view the ideas behind future technology. TED Talks – Great talks that will give some wonderful technology ideas for both teachers and students. NASA Robotic Lesson Plans – Some wonderful lesson ideas that cover all grade levels to engage students. Makezine – This might be a great place to start. I recommend checking out the projects area just to begin to get some ideas. While many of the projects are prescribed, you may wish to find some ways to open up ideas for thinking outside the box and providing for innovation. Explore the different areas including science, electronics, art, and design. How might something you discover allow your students to Make something that will connect to learning? Instructables – Here you will find ideas to make so many things that could Make a great connection to learning. When first opening the program give the Search Engine a try. Put in keywords of some possible learning ideas. It might be planets, insects, civil war, or nutrition. You can even filter the results using multiple categories. Give it a try… you will be amazed at what you find and what your students might Make! The Exploratorium Tinkering Studio – Tinkering is at the very heart of formative learning, allowing for iterations that encourage revision and reflection. Kids develop an understanding of how to learn from failure and setbacks in order to experience eventual success. The Tinkering Studio is primarily an R&D laboratory on the floor of the Exploratorium, but whenever possible they try to share their projects, activities and developing ideas following an “open source” model. Learn how you too can enjoy their activities in your classroom while allowing your kids to Tinker and Make! The Exploratorium Tinkerer Collection – Speaking of Tinkering, you may wish to introduce your students to some amazing Tinkerers and the occupations that surround them. Perhaps this could be part of a Makers’ Unit of Study that focuses on College and Career Readiness and 21st Century Skills. It might be fun to see what your students can Make of it! HowToons – Take a moment and see what happens when you take a comic book artist, an inventor, and a toy designer and have them work together. It seems you end up with HowToons, a place of engaging content that teaches kids how to build things, combining instructions with storytelling. You will discover that Howtoons has a foundation of science and engineering education, inspiring creativity through art and imagination. Take a look at the library and get set to Make! Science Toy Maker – This really is a site for people who like to roll up their sleeves and make science toys and projects. As the author states, “You won’t find slick, well-designed web pages here–more like the digital equivalent of a messy workshop. If you tinker around, though, you’ll find some good stuff.” Science Toy Maker is a resource for inspired kids and their teachers to really Make something out of it! Squishy Circuits – What kids don’t want to Make something with play dough… now add circuits and they have an even greater Making opportunity. Squishy circuits are a project from the Playful Learning Lab at the University of St. Thomas. The goal of the project is to design tools and activities which allow kids of all ages to create circuits and explore electronics using play dough. Be sure to check out the Ted Talk, White House Maker Faire, and the Ready to Use Kits. As with any circuit activity… read any precautions. How Stuff Works – As students make they may want to learn more and even have further questions, this is a great place to get information and explanations when Making. You are bound to find some curricular connections. The Kids Should See This – Be sure to visit this amazing wonder-filled resource site. You will find ideas for making along with some great learning opportunities. Activity Village – Not everything in the 21st century has to be digital. How about allowing students to create games in the non-digital world, like using cardboard and markers? Think of the learning standards their games could connect to. Sphero – Not only is this robotic ball a lot of fun, be sure to check out the included SPK Lab. The SPRK Lightning Lab app is your student’s hub to create, contribute and learn with Sphero Robots. The visual block-based building interface makes learning the basic principles of programming approachable and fun. Browse through activities, keep track of your class and collaborate with users around the world. Ozobot – Using these unique little robots presents an innovative way to teach subjects like programming, math, and science in classrooms, after-school clubs or at home. See kids become engaged and inspired when topics come alive with the help of Ozobot. Check out the site for awesome resources and lessons. Edutopia Makers Area – Take a moment to discuss, watch,and browse through amazing topics and possibilities. Discover how educators are harnessing the energy of the maker movement to inspire student exploration across the STEM subjects. Chibitronics – Discover an interactive kit designed to introduce students to the world of paper circuits. Inside each Kit is everything students will need to set up simple LEDs, switches, and sensors with only a bit of knowledge on how electricity works and a little ingenuity! With these kits, no soldering or sewing is required, simply peel each LED sticker and place them in specific areas designated in the included guide sketchbook and watch each creation glow. Twine – Welcome to a site that combines interactive technology with language arts. Twine is an open-source tool for telling interactive, nonlinear stories.